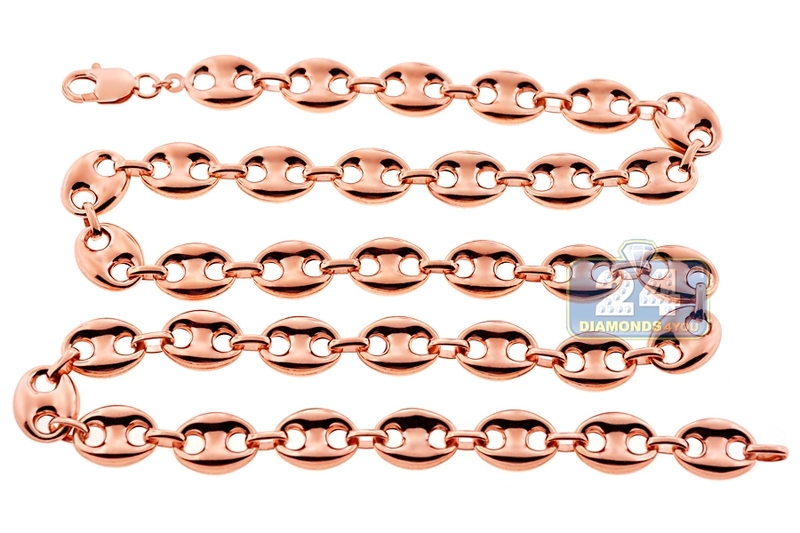 Designed in magnificent hollow style, this mariner puff link chain is the perfect finishing touch to both your business and casual dress! 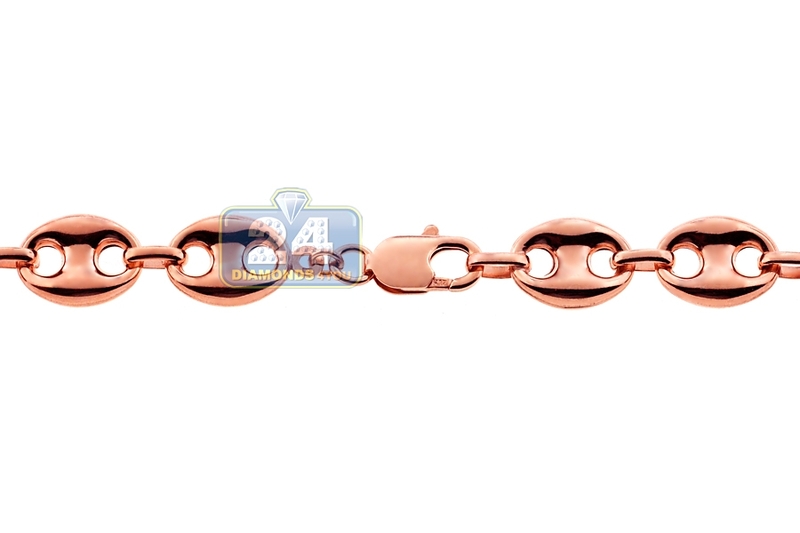 The anchor necklace is expertly handmade of unique 10k rose gold, and has brightly polished finish. This fine gold chain measures 12 mm in width and available in 24, 26, 30, 34 or 36 inches in length. 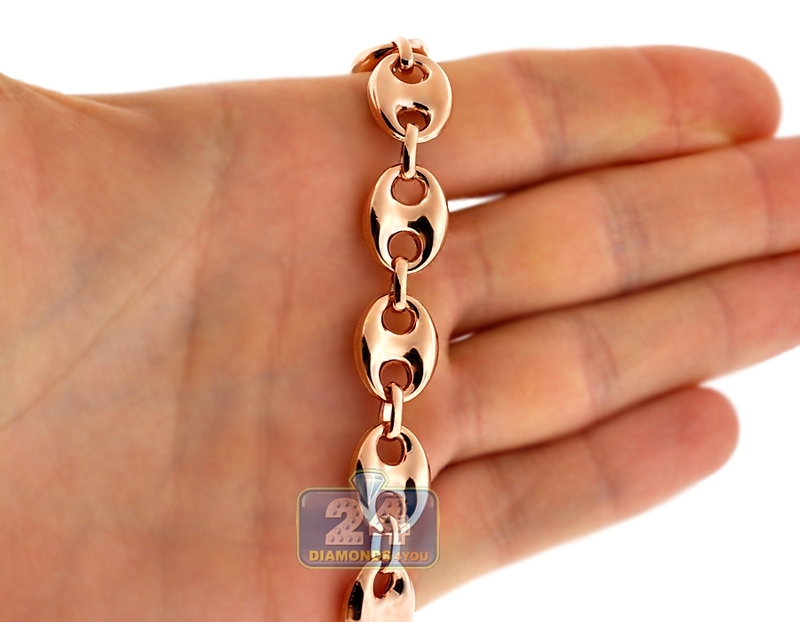 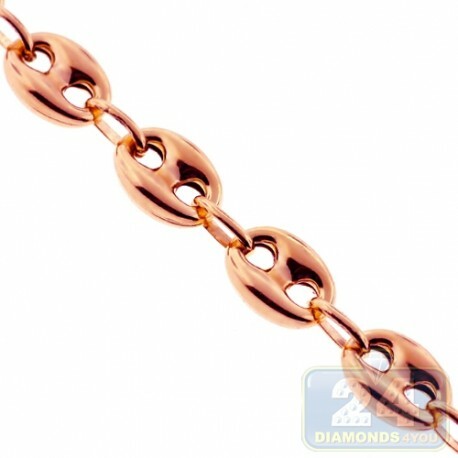 Our rose gold mariner chain has handsome look you will turn to time after time!